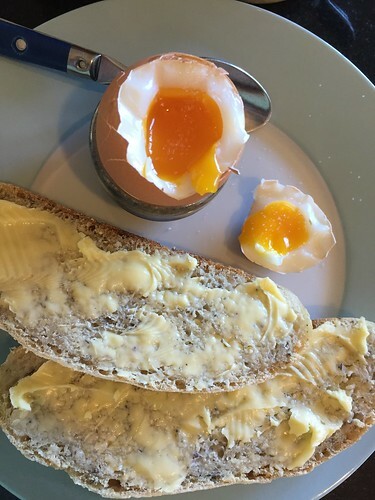 There’s always a buzz around making “Super Food” but for me, sometimes it is as simple a task as making a nicely boiled egg, served with some homemade brown bread. Eggs are one of the most nutritious foods on the planet! The Term “superfoods” has no scientific basis whatsoever. It’s a marketing term designed to sell products. There are not often many facts to back up some of the bold claims made every day in the media, and on food packaging. The current hype behind “Super” foods is population driven, as we all strive to have healthier lifestyles. And some foods do contain lots of what we need- eggs (as discussed! ), blueberries, acai berries and pomegranate, to name but a few. But the problem with the science bit, is that a closer look reveals the difficulty in applying the results of these studies to real diets. This is because the conditions under which foods are studied in the lab are often very different to the way these foods are normally consumed by people in their everyday lives. And while we are looking at studies on the ‘healthfulness’ of foods it is important to note that many researchers study foods in isolation. Given that people normally consume combinations of foods, picking out a single one to study does not really reflect real human diet. There is strong evidence to suggest that in some cases co-consumption of foods can actually increase the body’s ability to absorb nutrients. The beta-carotene in carrots and spinach, as an example, is more readily absorbed when eaten together with a source of fat such as salad dressing. So have a bit of butter on your spud! I know I joke about quinoa, and my eldest is very reluctant to eat it regularly as he consumed so much of it in Peru- but I can across a very simple salad that I call my “super salad”. Quinoa is gluten free, and has a high protein content, which makes it pretty good for you, it is also easy to digest so suitable for everyone. And the best thing is- you can add what you want. I don’t think it even needs a dressing. Cook the quinoa according to the instructions- I normally boil for 14 minutes. Then drain and run through cold water to help reduce the stickiness. Finely dice the peppers and stir into the quinoa, also crumbling in the feta. Stir well and add some fresh herbs before serving, this dish is best served cold from the fridge. One Response to "My Super Salad Recipe"